This week I’ve been feeling weather whiplash. Something about window shopping for wool sweaters while wearing short shorts that makes a person feel a little crazy, I guess. But fall is coming (eventually), so grab your light jackets and start making room for our picks of new fall sweaters for guys. You’ll notice a lot of colors (umm, except for all the grey crewneck sweaters but that’s just my own personal thing that you have to deal with). There seems to be a navy, orange-y red, and tan situation happening this season with designers, all of which are Team #SGapproved. Oh, and lots of texture. So let solid-colored jackets anchor your outfit while having more fun with your layers underneath. Wear it well: Look, sometimes you just have to treat yourself to the coziest-looking sweater you ever have seen and tell yourself you’re worth it. Wear it well: A throwback in the best way possible. The tan anchors the stripes, making this sweater more wearable and versatile than you might think at first glance. 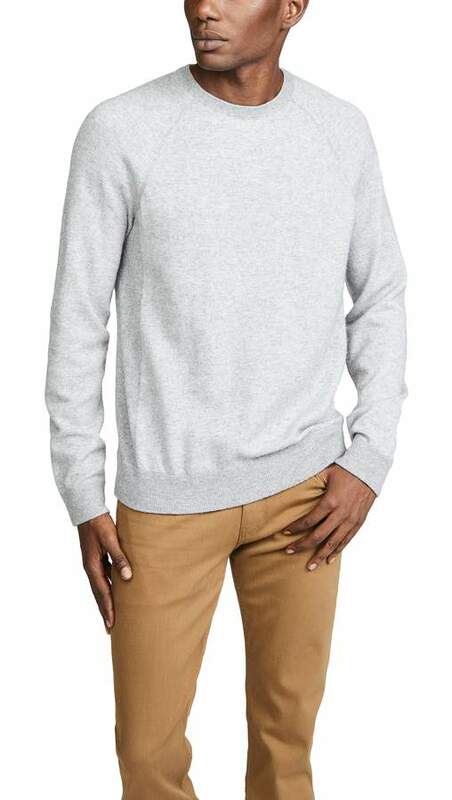 Wear it well: You know how I feel about a grey crewneck sweater, so let’s just leave it at that before it gets uncomfortable for all of us, shall we? Wear yours under a black bomber for extra levels of cool. Wear it well: Can’t do much better than a breezy dark blue crewneck over a white tee on a lazy Saturday. Simple, stylish, and you’re out the door. Wear it well: Are you man enough to wear a furry friend on your sweater? Thought so. Wear it well: A new spin on an old classic, the stripe on this mockneck sweater breathe fresh life into a classic. Wear it well: For just a l’il bit of winter in your fall sweater army. Wear it well: One more time, for the cheap seats in the back…orange and red are VERY in this season. Indulge your inner pumpkin spice latte-loving heart. Wear it well: If Drake has taught us anything, it’s that if you’re going to wear a turtleneck, you might as well commit. 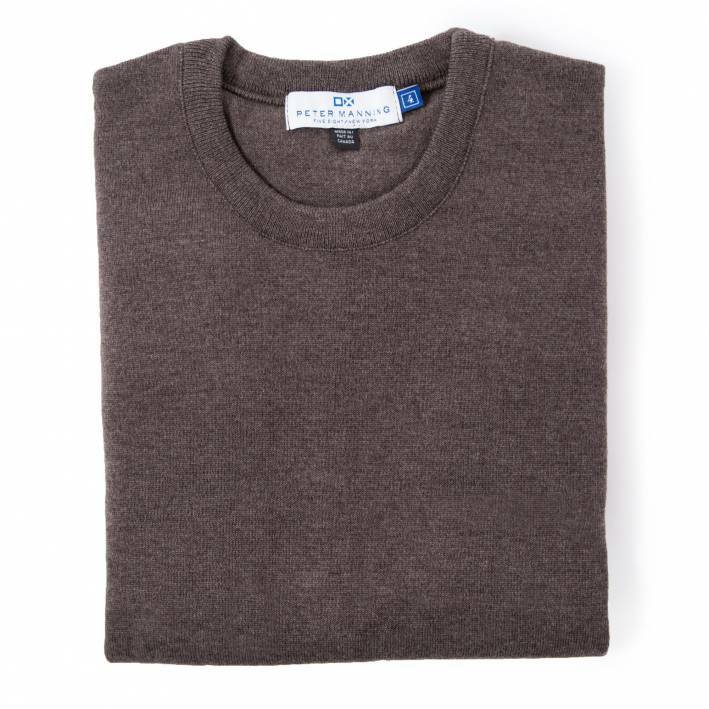 Wear it Well: Designed to address the common pain points of the ‘not-so-tall’ guy, this merino wool sweater from our pals at Peter Manning is perfectly fitted, and perfect for layering up as the temperature drops. Wear it well: Don’t sleep on a l’il logo action. This Ami sweater won’t be confused with anything you could find at the mall (not that we’re against mall stores, but y’know, nobody needs to see another moose or seagull above your heart now that you’re an adult). WHAT COOL WEATHER PIECE CAN WE SHOP FOR (FOR YOU!) NEXT?